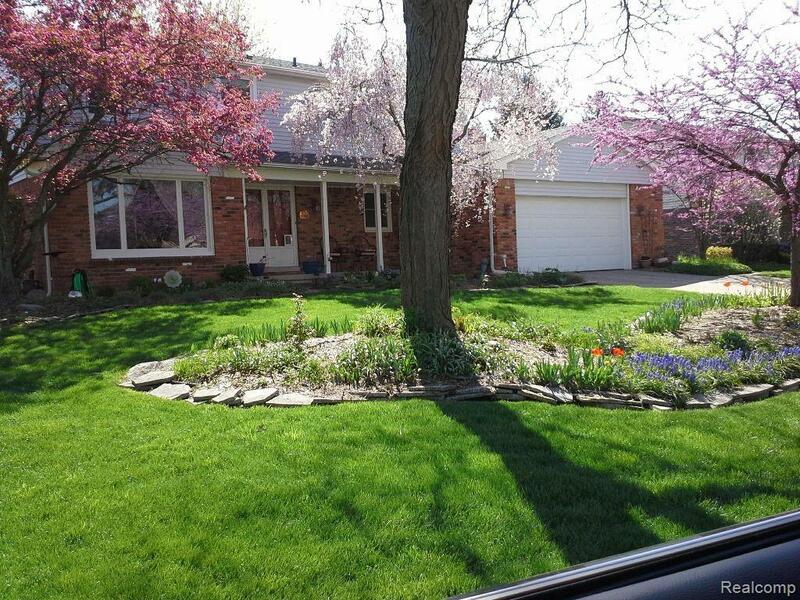 BEAUTIFUL NORTHVILLE COLONY ESTATES BRICK COLONIAL OFFER A 4 BEDROOM, 2.5 BATH, LIVING ROOM, DINING ROOM, KITCHEN, 1ST FLOOR LAUNDRY WITH UTILITY TUB AND GREAT ROOM ALL ON MAIN FLOOR. BEDROOMS ALL UPSTAIRS WITH NEW CARPET AND NEUTRAL PAINT THROUGHOUT. UPDATES INCLUDE ALL NEW NEUTRAL CARPET THROUGHOUT (2019), AND VINYL PLANK FLOORING IN GREAT ROOM (2019), ROOF, FURNACE, AC, WINDOWS, & 2 FULL BATHS. PROFESSIONALLY LANDSCAPED WITH FIELD-STONE PATIO IN A PEACEFUL, SCENIC BACKYARD. ENJOY THE GAS GRILL AND FIRE-PIT. LOWER LEVEL IS UNDER THE ENTIRE HOME, PARTIALLY FINISHED, GLASS BLOCK WINDOWS AND JUST NEEDS THE NEW OWNERS PERSONAL TOUCH. ALL APPLIANCES STAY INCLUDING LOWER LEVEL REFRIGERATOR. THIS HOME WILL SELL SUPER FAST. IDX provided courtesy of Realcomp II Ltd., via Coldwell Banker Preferred, Realtors and Realcomp, ©2019 Realcomp II Ltd. Shareholders.